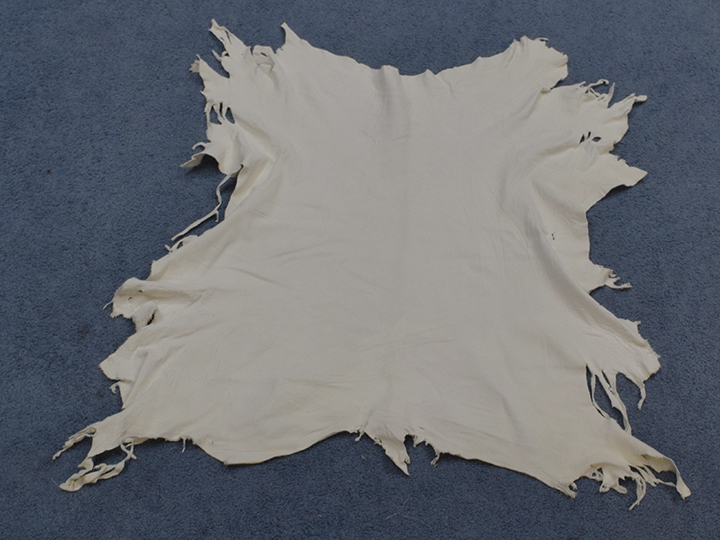 Our garment grade calf leather is of top quality. They come in a nice white color, a result of a special tanning process. These are not bleached. One 9 sq. ft. leather hide is measured to 29" long by 31.5" at its widest point. 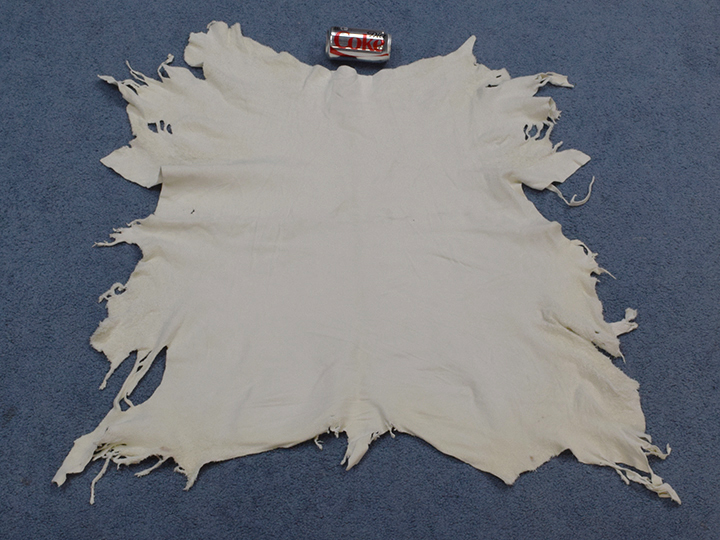 R-189-GAR-WH Calf Leather:Garment:White US$7.75 / sq. ft. US$6.75 / sq. ft. Cows are not an endangered species and are not subject to CITES controls. They are a by-product of the food industry.